Eric teaches courses in economics and techniques used in knowledge management. He holds a PhD in economics from Purdue University and a BS in biology from Saint John’s University in Minnesota. His research interests are in the general sphere of bio-business. More specifically, he is actively investigating issues related to organ donors and the allocation of organs in all economic levels of society. 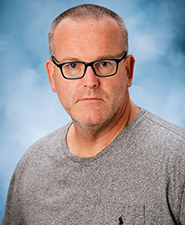 Eric received a Dean’s Teaching Award and was voted the Outstanding Graduate Instructor while completing his doctorate at Purdue University. Alina Klein earned a B.S. in Economics at the Academy of Economics in Bucharest, Romania, in 2003, then a Ph.D. in Economics at West Virginia University in Morgantown, WV, in 2010. 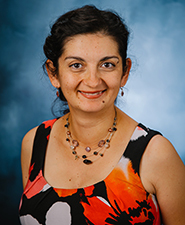 Before joining UD, she worked as Assistant Professor of Economics at Lynchburg College in Lynchburg, VA. Alina has publications in the International Economics and International Finance fields. 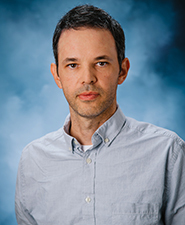 Rudy Klein received his Ph.D. in economics from West Virginia University (WVU) and B.S. in economics from the Academy of Economic Studies, in Bucharest, Romania. Before joining the University of Dubuque, he worked as a graduate teaching assistant at WVU, where he taught both online and traditional courses. Afterwards, he moved to Virginia and taught economics courses at Lynchburg College and Sweet Briar College.